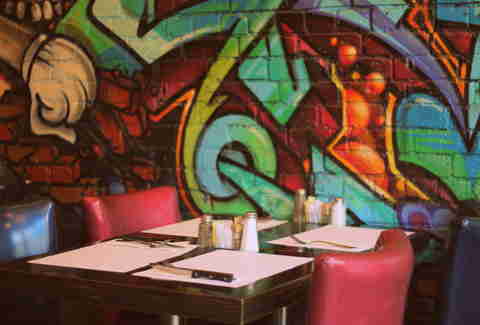 Why is brunch such a big deal in Montreal? Why ISN’T brunch such a big deal everywhere else? It’s a general rule of thumb that the later you wake up, the hungrier you are, and the hungrier you are, the better things taste. It’s also a well-known fact that sleep is good for you, so brunch, by extension, is good for you too. It’s just science, folks. Here are Montreal's scientifically selected greatest bruncheries, and the reasons why they're so freaking good. Brunch is awesome, but waking up early is not. 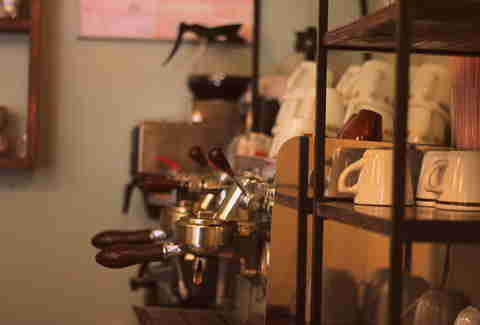 Le Vieux Velo, and their adjacent café, Odessa, makes mornings a whole lot easier. Their BAB dish, an eggs Benedict w/ brie, avo, and bacon, makes life worth living. 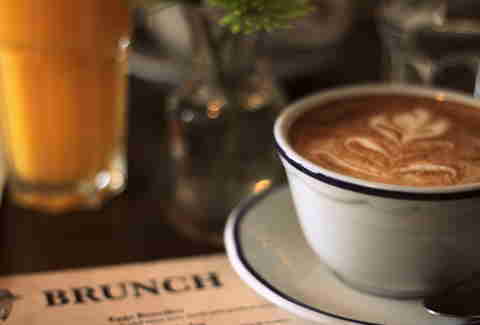 And they serve brunch all day, ideal for even those up at the crack of noon. Montrealers like to have fun at night. ... But they like to have fun in the mid-day too (not too early now)! That’s why joints like L’Avenue end up having longer lines than most clubs. Also: a cooler bathroom, w/ black lights, graffiti, and wildlife nature programs playing on a flatscreen. 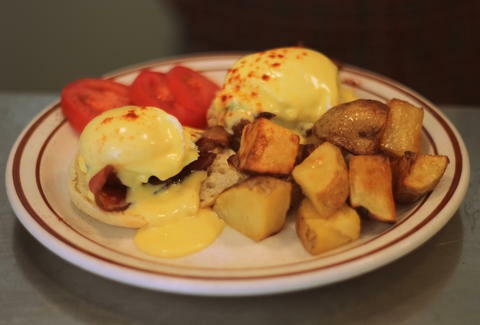 In Montreal, brunch is basically another reason to drink more. ... 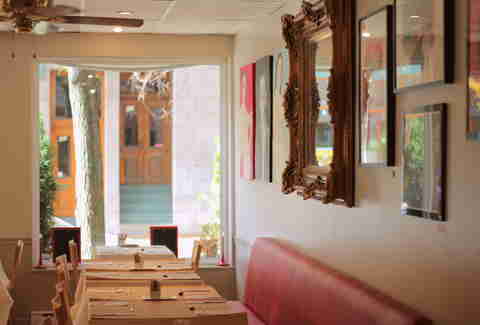 Which is why this bar, that moonlights as a restaurant, is an ideal spot from brunch drinking. Sip on their blood orange mimosa or their bourbon lemonade while you devour their red velvet waffles or their fried chicken and waffles plate. Somehow combining breakfast & lunch leads to endless, glorious options. What’s better than a Montreal bagel? 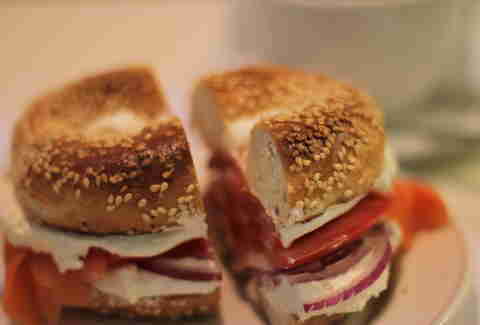 A Montreal bagel sandwich. Or how about a “mish-mash” omelet that includes a hot dog, salami, green pepper, and fried onion inside of it. Beauty’s has been making the meanest brunch combos since '42. Since you’ve already skipped one meal, decadence is strongly encouraged. Le Passé Composé takes things to a new level of decadence with dishes like eggs Benedictine with ratatouille, poached eggs with foie gras, or their Panko-crusted French toast. Brunch is the only meal that allows for this kind of gluttony w/out the impending sense of shame. You can have dessert after brunch! 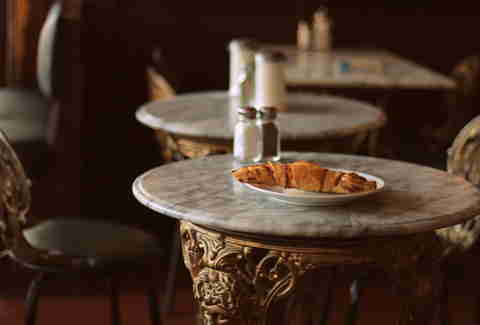 Figaro, a Parisian-esque mainstay, was pretty much designed for a perfect brunch experience, because while you’re picking up your tab, you can grab a little something something from their dessert counter for the road.